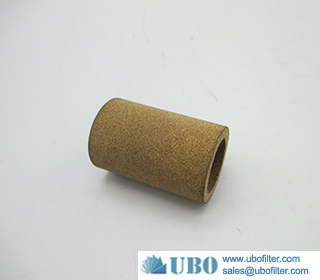 Powder sintered filter cartridges is mainly used for filtering gas, liquid and fuel oil. 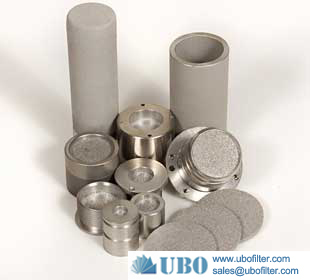 It is widely used in petroleum, chemical, automobile, tractor, aircraft and shipbuilding industries, and is also widely used in filter components of pneumatic and hydraulic circuits. 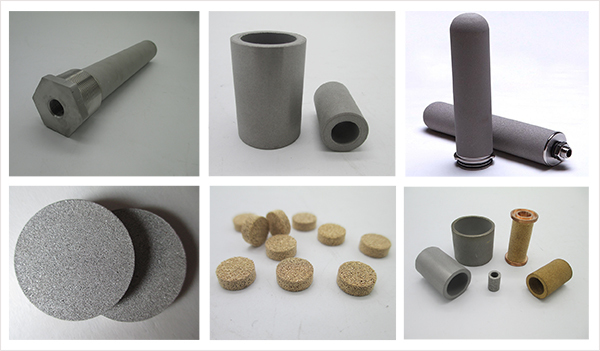 The powder sintered filter titanium sintered filter core is a new type of high-efficiency porous filter material which is made of metal titanium powder as raw material and processed by powder classification, molding, sintering and mechanical welding. 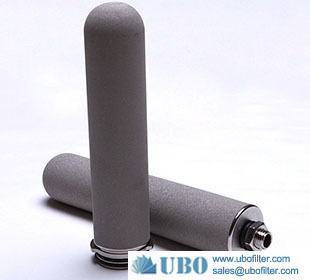 Because its pore and filtration precision can be quite wide. 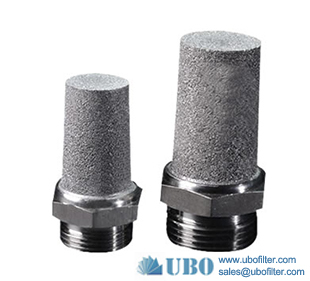 It is widely used in the fields of self-lubrication, filtration, separation, catalysis, flame elimination, heat exchange, hot electron generation and gas distribution. 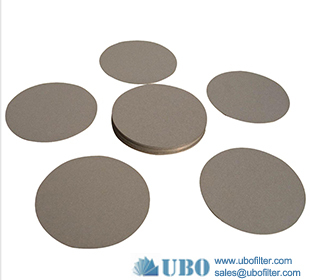 The titanium sintered filter element is a titanium metal porous filter material prepared by powder metallurgy method, and the internal pores are curved and arranged, criss-crossed, the pore size distribution is uniform, and the filtration mechanism is a typical deep layer filtration. 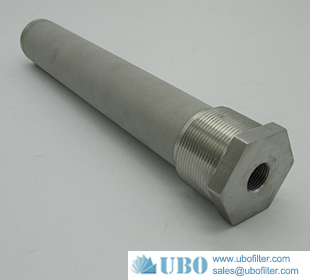 It has excellent performances such as corrosion resistance, high temperature resistance, high strength, easy adjustment of filtration precision and easy regeneration. 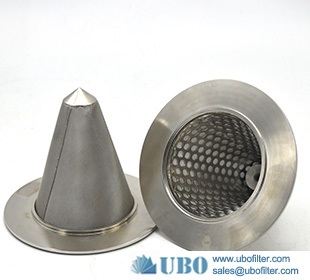 Titanium filter element is formed by forming titanium powder and sintering at high temperature, so the surface particles are not easy to fall off; the use temperature in air can reach 500. 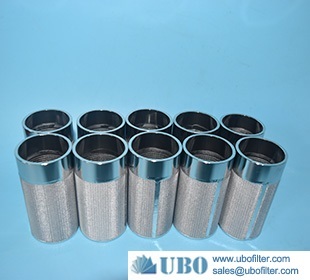 ~600 ° C; suitable for filtration of various corrosive media, such as: hydrochloric acid, sulfuric acid, hydroxide, seawater, aqua regia and filtration of chloride solutions such as iron, copper, sodium. 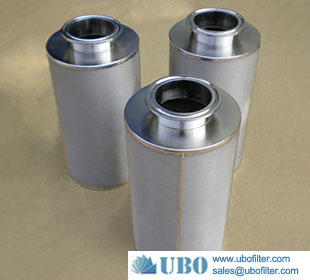 It has excellent mechanical properties, can be machined by cutting, welding, etc., with high compressive strength and internal pressure breaking strength up to 2MPa; its filtration precision is easy to guarantee, even if it is working under high temperature and high pressure, the aperture will not be deformed. 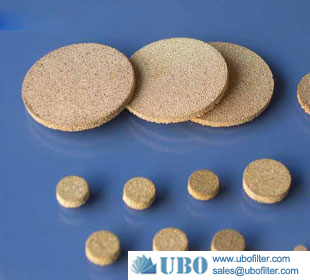 The porosity is up to 35 to 45%, the pore size distribution is uniform, the amount of dirt is large, and the regeneration method is simple, and can be reused after regeneration. 1. 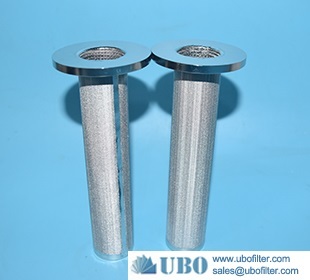 Applied to liquid-solid, gas-solid separation liquid---solid separation: electronic industry; pre-filtration of reverse osmosis system, pre-filtration of deionized water system food industry: beverage, brewing wine, mineral water and other filtration. 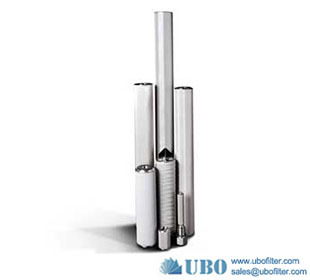 Petrochemical industry: terminal filtration of petroleum products and filtration of chemical carbon-alkali liquids, recovery and filtration of organic solutions of alcohol, filtration of heavy coker gas oil, and filtration of hydrogen cracking cycle oil. 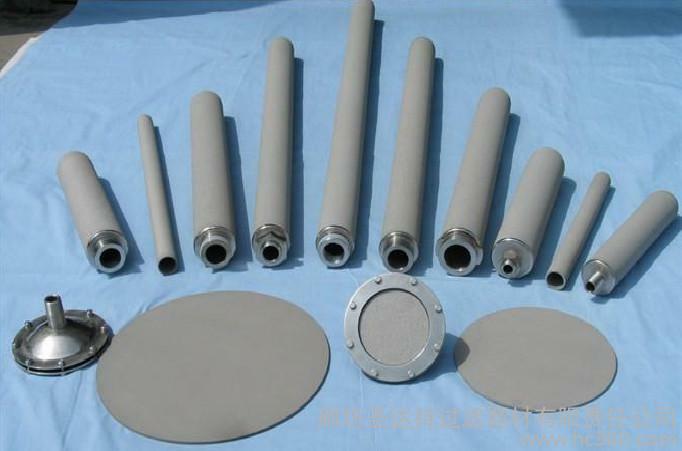 Environmental protection and sewage treatment: pharmaceutical industry: large infusion, injection, demineralization without brine, seawater desalination. 2. 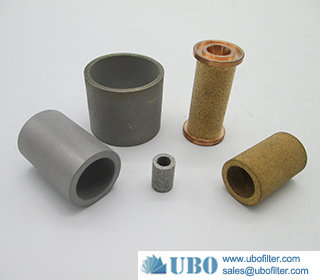 Application in petrochemical filtration process: used in the production process of copper, ester and amine for recovery of catalyst, solution refining and recycling, and finished product refining. 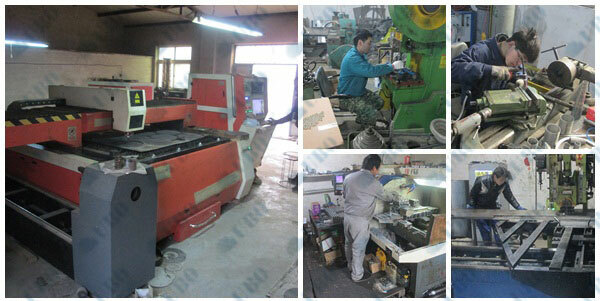 It is used for catalyst recovery and product refining in processes such as ethylene glycol and phthalic anhydride. 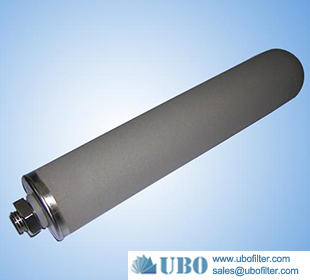 It is used for filtration purification and removal of activated carbon fine particles in the dimethyl phthalate process. 3. 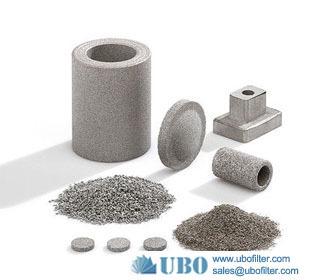 Application of fine chemical filtration process: used to recover precious metal catalysts in the process of synthesizing pharmaceutical intermediates such as vitamins A and E.